A new poker tournament has just entered the arena. It is about the Thomas Kremser Poker Tour (TKPT). 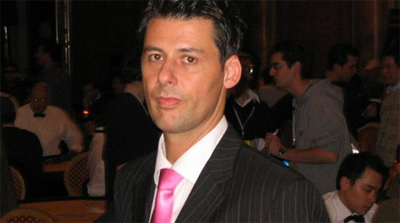 As its name suggests, the tour is named after its founder Thomas Kremser, a sworn live poker tournament director with a relatively shining work portfolio, namely with the European Poker Tour (EPT). As a reminder, Thomas left the EPT and eventually made his own run after the Black Friday. With the help of his wife, Marina Kremser, Thomas founded their own company, the TK Poker Events. For a broader visibility, he now bets on launching a tour. No concrete information relating the long-term TKPT is released yet. Despite all this, the full schedule of its first stop is now available. It will be played from November 19 to 28, 2015 at Maho Beach Hotel & Casino in St. Maarten, a Caribbean island with unmatched charms. The first stop is actually named TKPT Caribbean instead of TKPT St. Maarten, a name shift that is evidenced by the founders commitment to tagging the tour as a global one. Indeed, the TKPT Caribbean features 16 events of modestly lower buy-ins, another proof lending credibility to the tours target towards casual poker players of all levels. Based on the success of the 2015 World Series of Pokers Colossus, it can be considered as a winning concept to draw a much broader customer base. The three-day Main Event will be accessible for $ 1,100 of entry-fee. Online qualifiers are also on offer, an opportunity to earn seats to the highlight.